Caroline Uhler joined the MIT faculty in 2015 as an assistant professor in EECS and IDSS. She holds an MSc in Mathematics, a BSc in Biology, and an MEd in High School Mathematics Education from the University of Zurich. She obtained her PhD in Statistics from UC Berkeley in 2011. Before joining MIT, she spent short postdoctoral positions at the Institute for Mathematics and its Applications at the University of Minnesota and at ETH Zurich, and 3 years as an assistant professor at IST Austria. 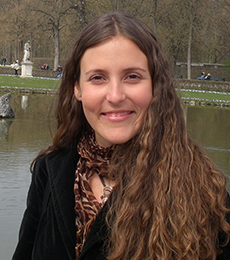 Her research focuses on mathematical statistics and computational biology, in particular on graphical models, causal inference and algebraic statistics, and on applications to learning gene regulatory networks and the development of geometric models for the organization of chromosomes. She is an elected member of the International Statistical Institute and she is the recipient of a Sloan Research Fellowship, an NSF Career Award, a Sofja Kovalevskaja Award from the Humboldt Foundation, and a START Award from the Austrian Science Fund.